According to the weatherman Jonas should be out of here soon. 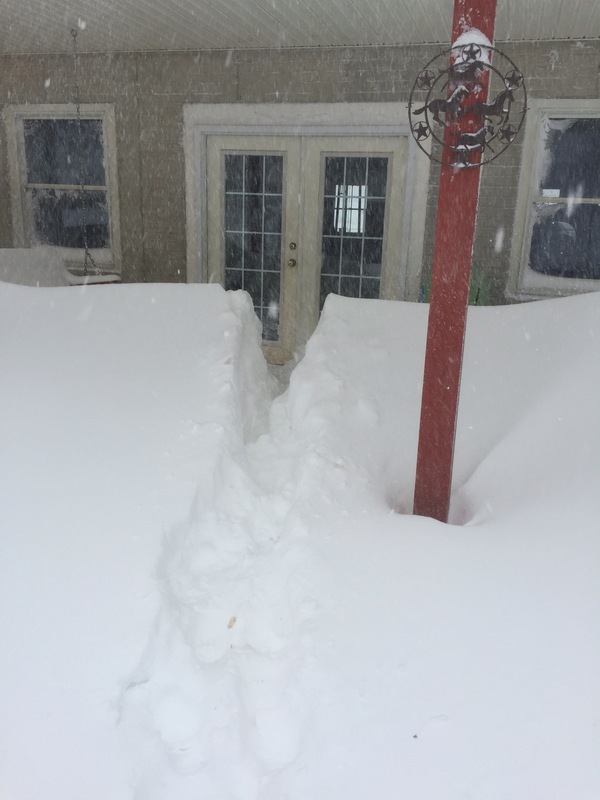 I think we got about 30 inches. We have a blizzard warning through tonight -the snow is supposed to stop around 8pm but the winds will still be a problem overnight. The wind has been brutal and I’ve had a facial as snow has been blown in my face all day. 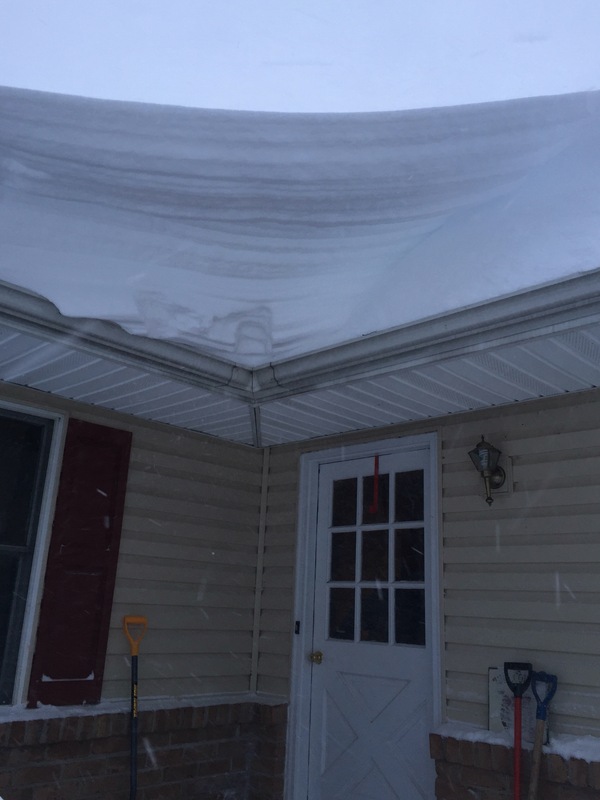 The drifts are amazing! 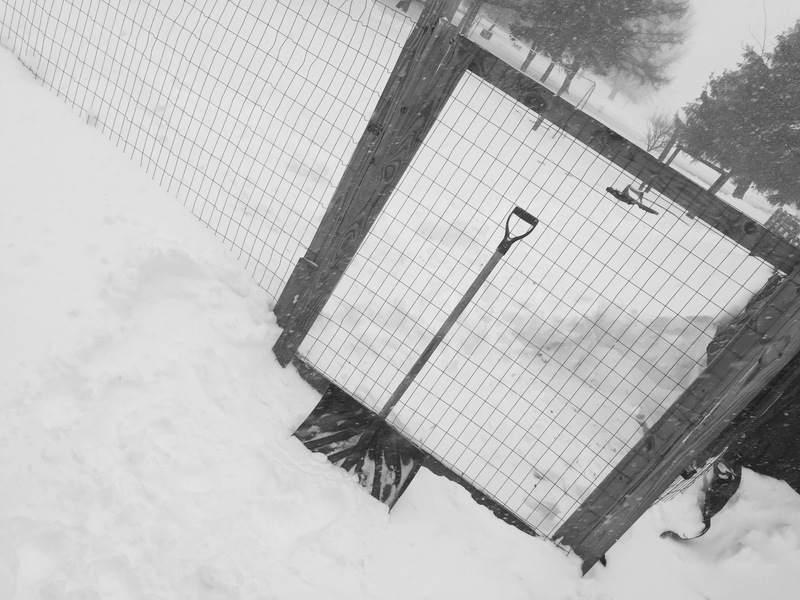 Pretty much all our digging out efforts earlier were at least halfway covered back up due to more snow and drifting. 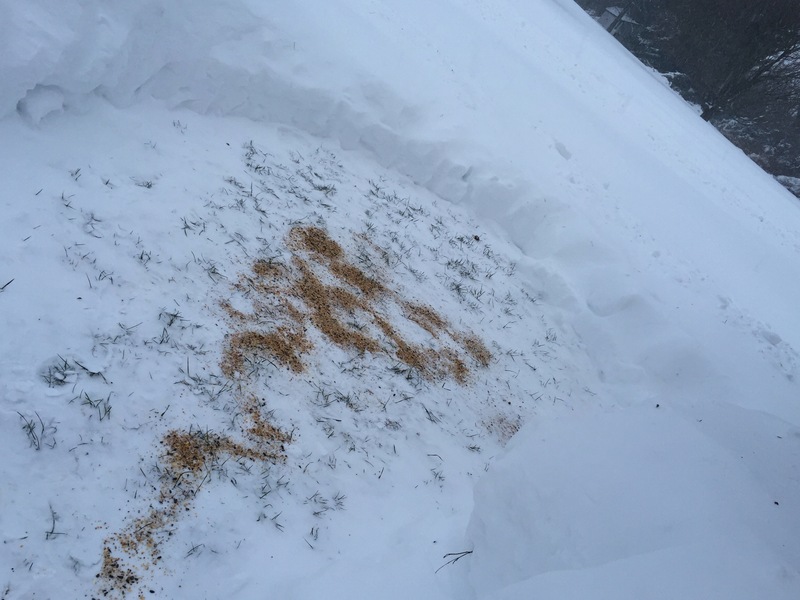 We got back to work to make a path back to the barn and we dug a “rest”area for my moms dog because she is pint size and if I let her out with out other dogs we would lose her in a drift. She is not “resting” in her rest area. So I’m a bit worried where she might rest but it’s ok it’s been a confusing week for her. So the rest area has become a bird seed area. 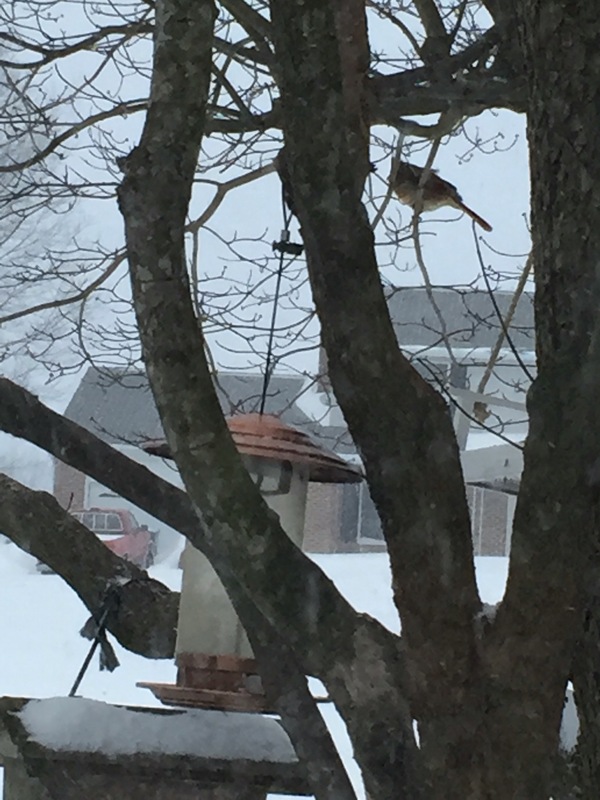 We can’t forget our bird friends during this storm. Suki my moms dog -she is staying with us while my mom recovers from back surgery. Bird feed in the rest area. Round two this afternoon was more tiring -I am not in blizzard shape. 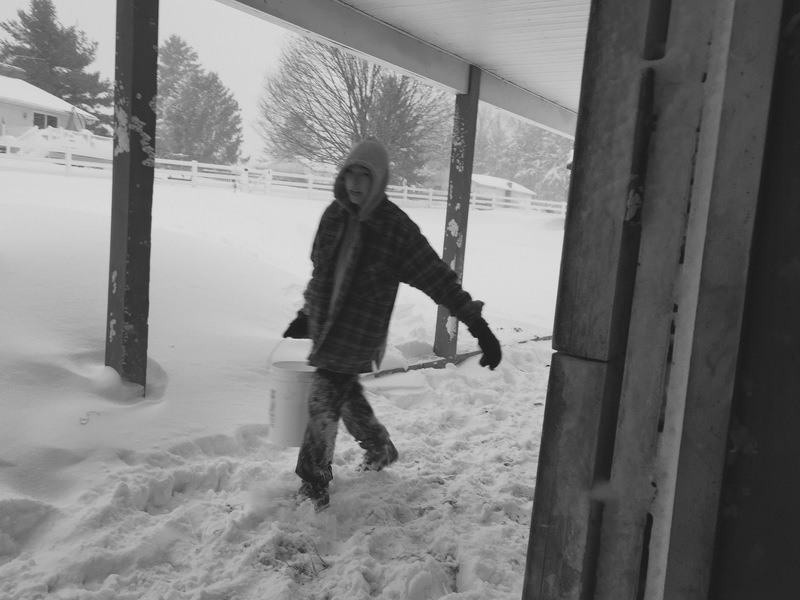 Just lifting my giant muck boots as I made my way though the snow was hard. Not to mention I was wrapped up like a toddler in my purple Tractor Supply overalls and jacket. I will say I have been very warm in that get up but the mobility isn’t great! My gloves were a fail. So I’m ordering some good gloves from LL Bean tonight. 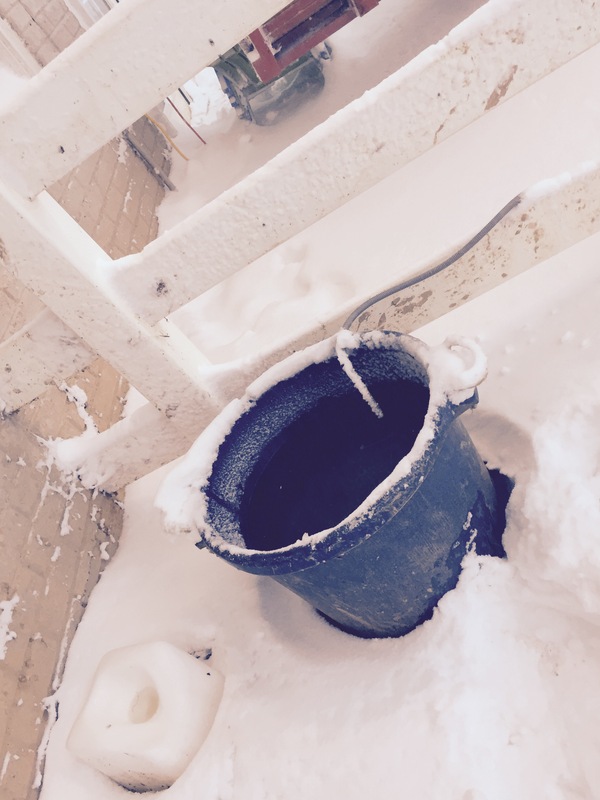 It won’t help this time but warm gloves are a huge asset on a farm. I think Kevin climbed into our chicken runs at least three times today. 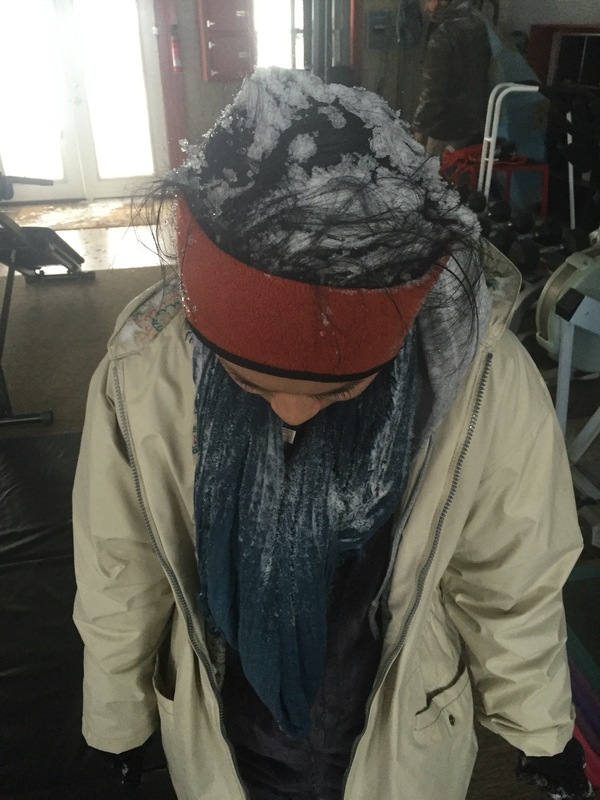 It was hard to keep snow out of the run even though we tarped them tight. The snow finds its way in any crack. So Kevin cleared them out as best he could. Kevin was getting loopy I think when he told our ducks “don’t fear the marines are hear to save you!” The ducks never think anything is funny and just ran from him as him brought their feed and water closer to their heat lamp. It’s a nice Florida vacation temp in their area. I have been throwing more sawdust down in the stalls. Sawdust helps keep things dry and will help with slippery surfaces as well. 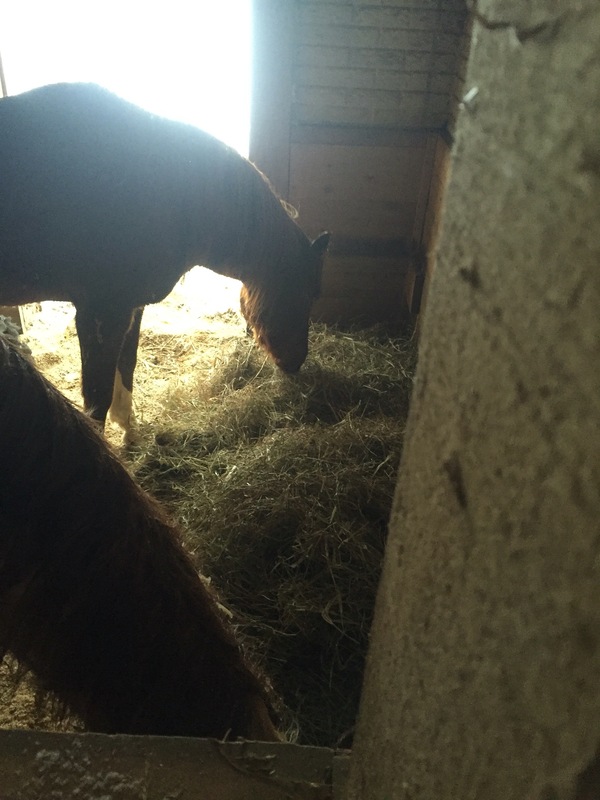 The horses would rather we toss them their hay and skip housekeeping all together. 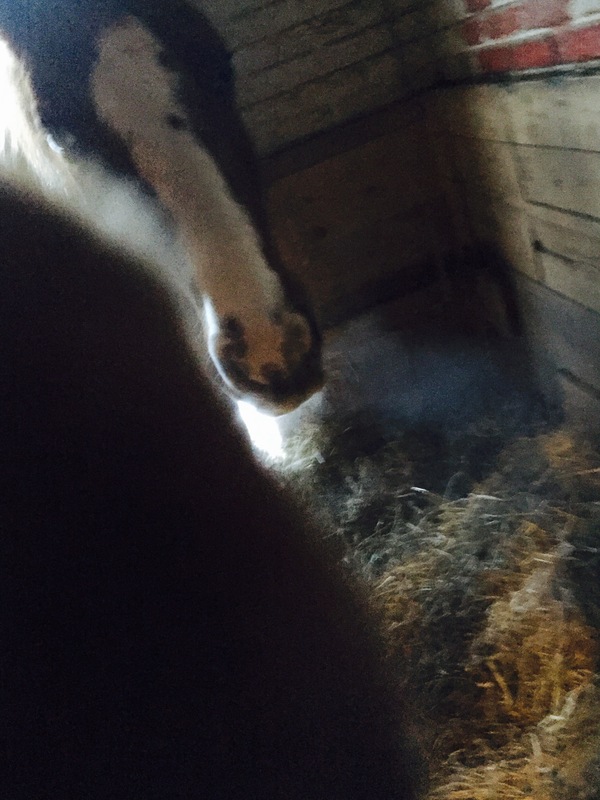 Horses don’t always have a sense of humor ESP around feed time. See how serious he is. 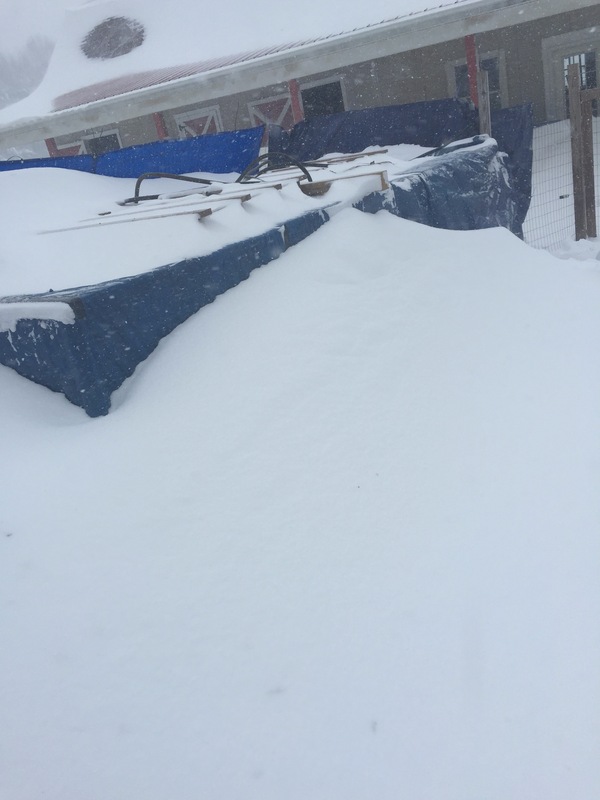 We are having issues with snow piling up on the rooftops of the house and barn. We knocked some off already but that will be another chore tomorrow. We sometimes forget to look up and I’m glad is did today BC there was quite a bit of snow up there. 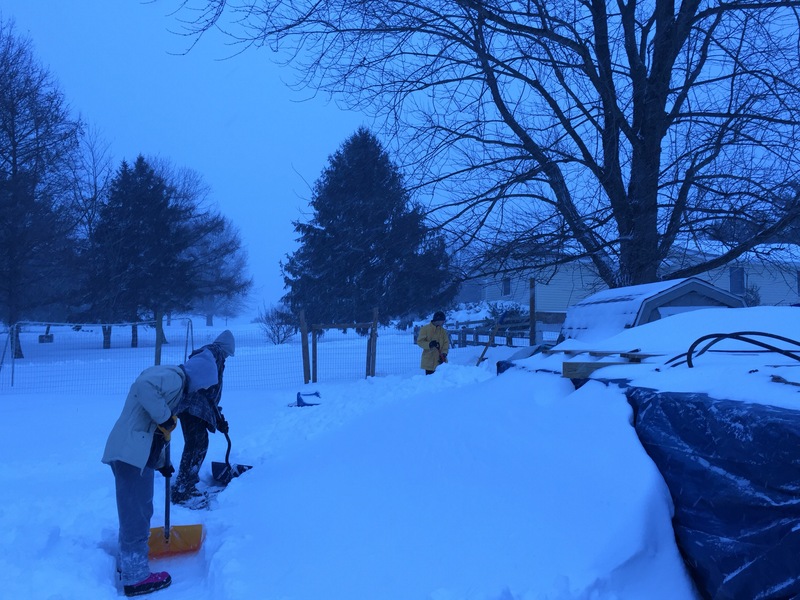 I am ever thankful for my teens lending a hand in digging us out. I’d love to say they were very eager to help but I don’t like to lie. They did do a lot of work and during that time I didn’t have to hear the Xbox or be asked if they could play the Xbox. It might be a long few days. I kind of hoped maybe they would want to play a board game but that might just be a dream. Kevin and I may rent Zoolander as we are in for the night. But I may fall asleep before we get to that movie. I’m waiting to hear from my moms nurse and to hopefully speak to her. I called a bit ago and they said she was sleeping so that is good. In a way being so busy today helped to keep the stress about my moms health at bay. What a day. Tomorrow will be the big dig out. Here some misc shots from the afternoon feed time. Jonas the blizzard is here in full force. I’m thinking we’ve had about 24 inches of snow so far. The drifting makes it hard to determine exactly how much. I was able to speak to my mother today in the hospital and she was able to complete sentences today so that is better than yesterday. She isn’t eating much and she’s in pain. I did hear from a nurse and they are trying to get an infection treated and they are trying to control her pain. So that’s as good as it’s going to be now . So now the farm becomes a priority for a bit. 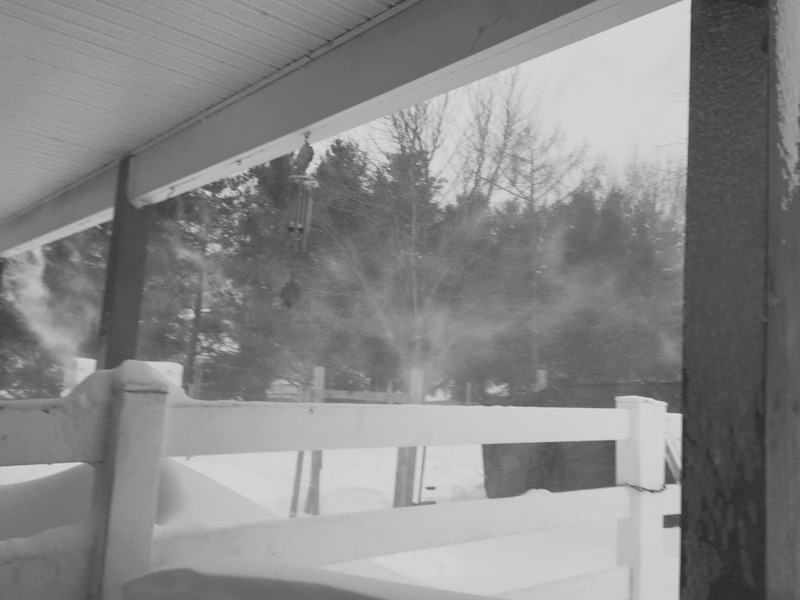 I’d like to go on record to say that I was first to the barn this morning and I forged through 2 feet of snow and higher in some areas to create the the trail(it was slow going) that has now been dug out by my teens as a pathway to the barn. Let’s hope their efforts aren’t completely covered up by the continuing snowing and blowing. 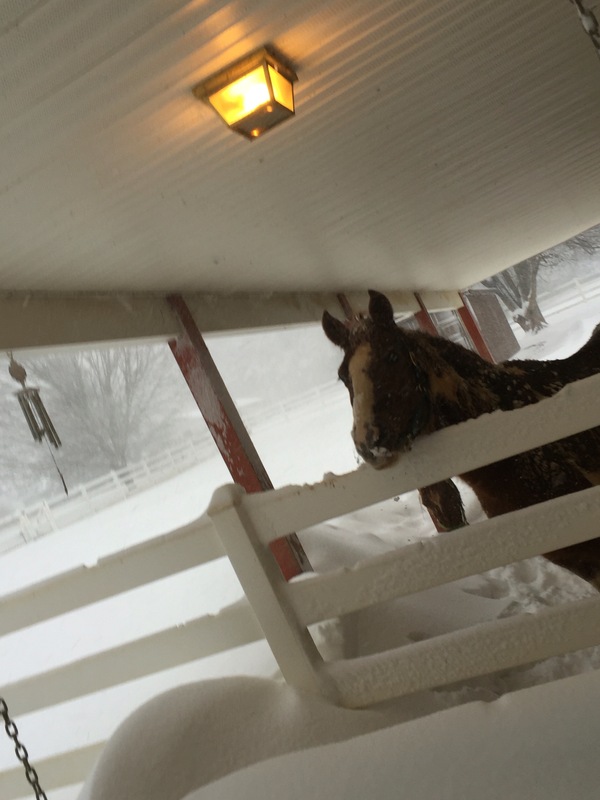 I was a little nervous about going out there and trying to get to the barn. My shoulders are crap now and if I fell I wondered if I could get up. 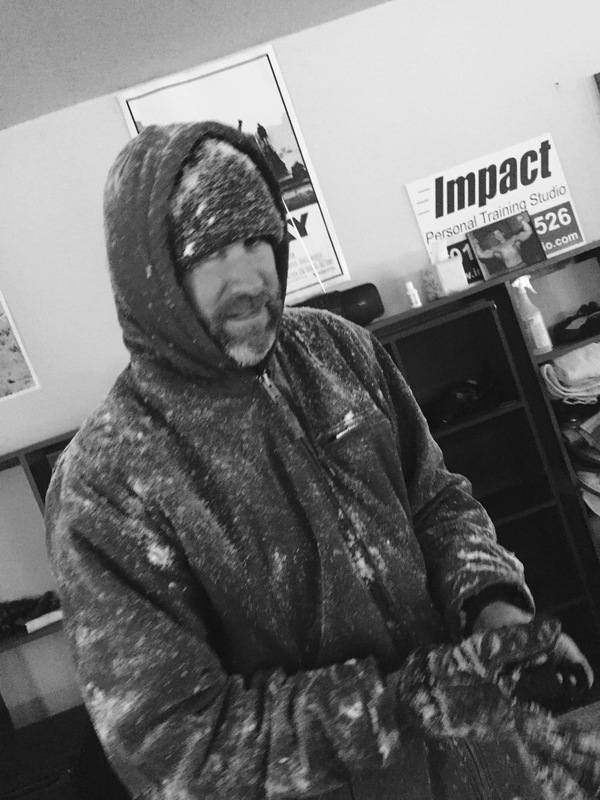 I was afraid of the storm but I needed to get to my animals so off I went -and Kevin would have found me if I fell as he was only a couple minutes behind me. So there was that comfort. 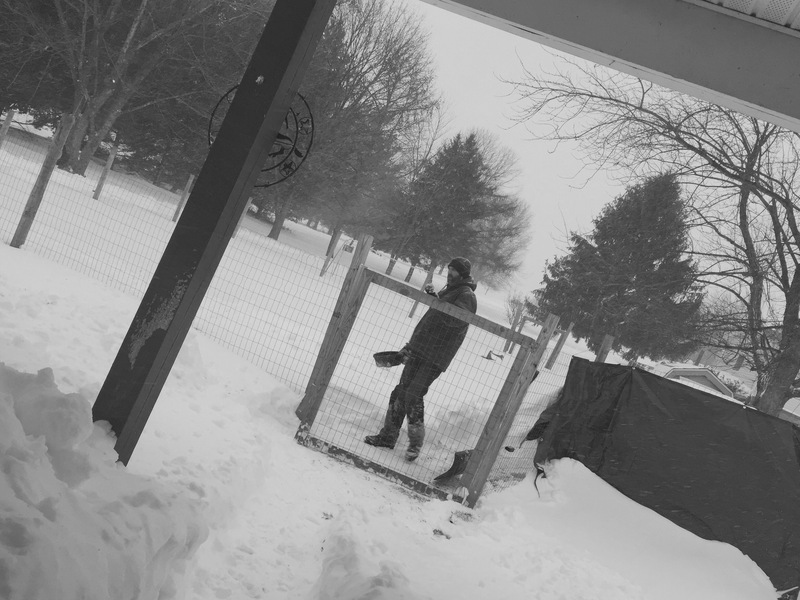 We’ve been outside feeding animals, shoveling snow , fixing stuff, moving feed and water so they are more accessible. Zhou think you are ready but when the weather comes you often find chinks in the plan. 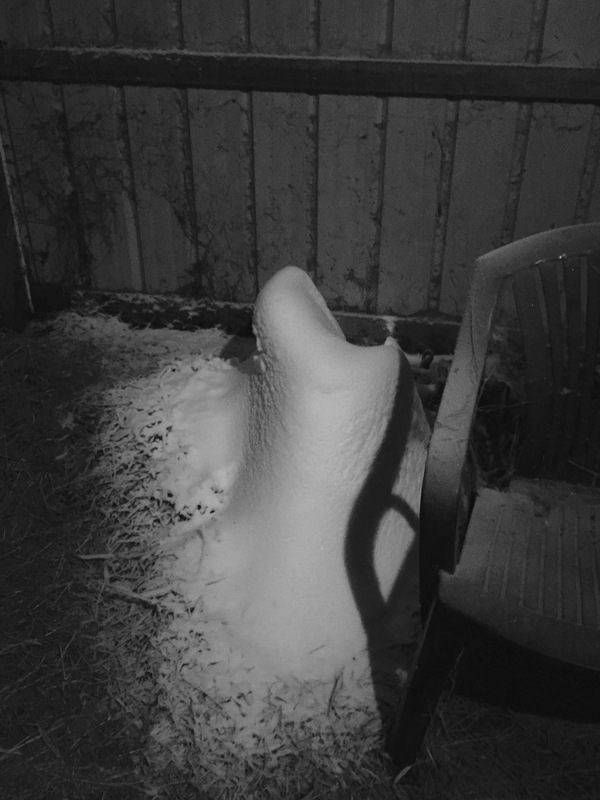 The snow finds its way through tiny cracks under the barn door to create a great mound sitting alone in the storage room. Being out in the power of nature is truly like feeling hyper alive. The natural world is so in your face. It’s rather wild and exciting to be in the midst of a blizzard. The wind and the quiet. It’s like you are inside a pillow. A cold pillow. 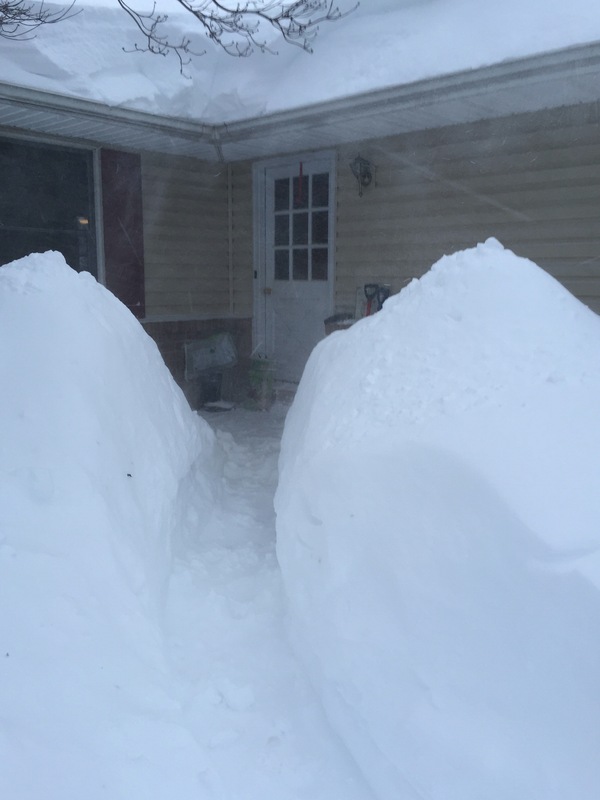 I couldn’t do as much shoveling as I’d like because of my shoulders but I helped where I could and I am good at giving directions. And I love giving directions as anyone living with me would attest to. It’s amazing how animals adapt to their environment and instinctively know what to do when Mother Nature sends us a doozy. The hens are roosting and the ducks are hanging in the run and seemed fine. 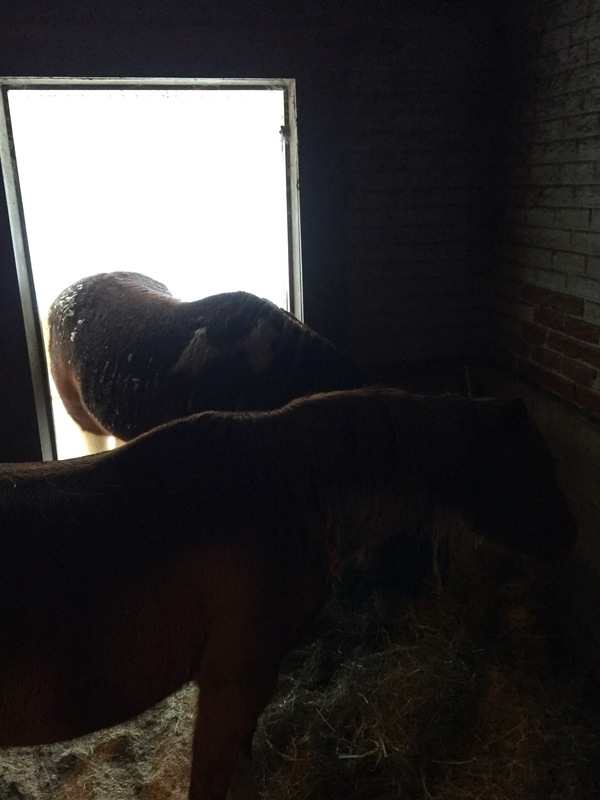 The horses know to hang in a stall away from the wind. They have lots of hay so they are happy. 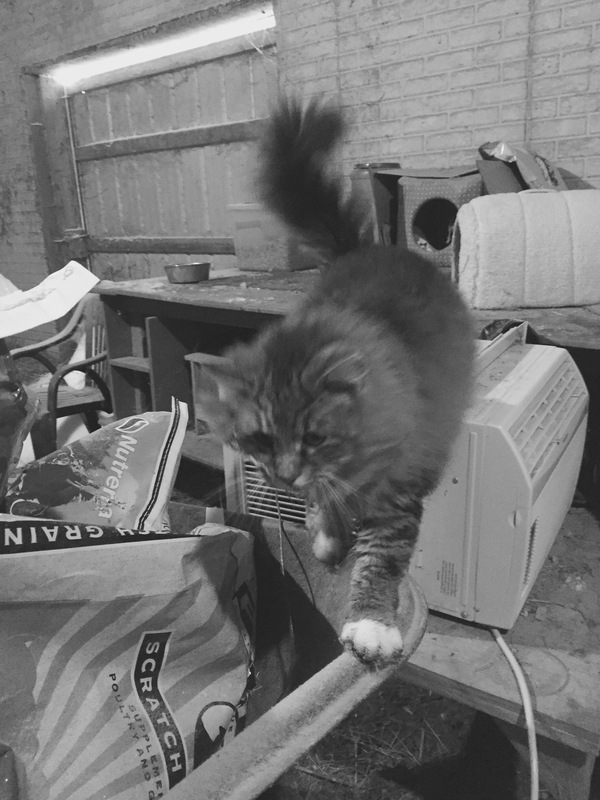 Our barn cat (yes one cat – my long lost cat that came back in October left again a month ago. Maybe he will visit again. Maybe in warm weather) is holing up in her pink cat house. Having a heater in our barn gym. 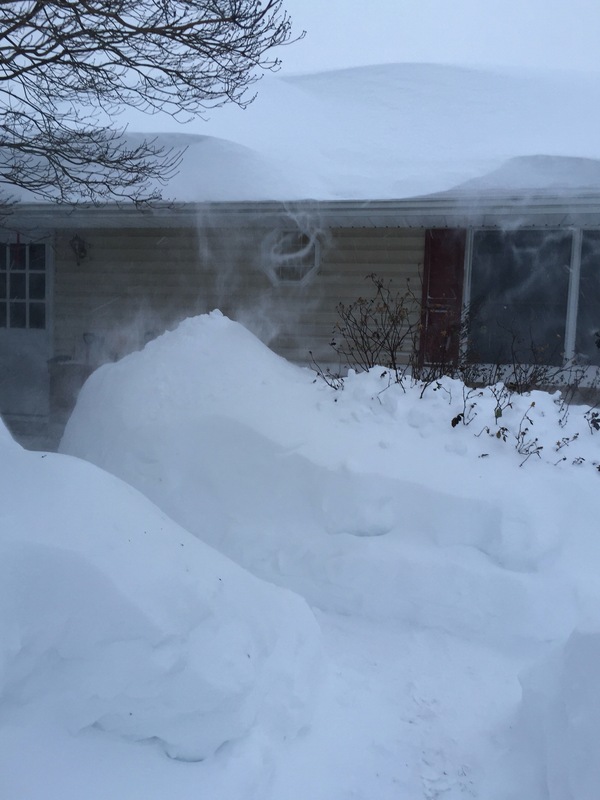 Snow drifts that are in a convenient place. As opposed to the ones that are not in a good place. 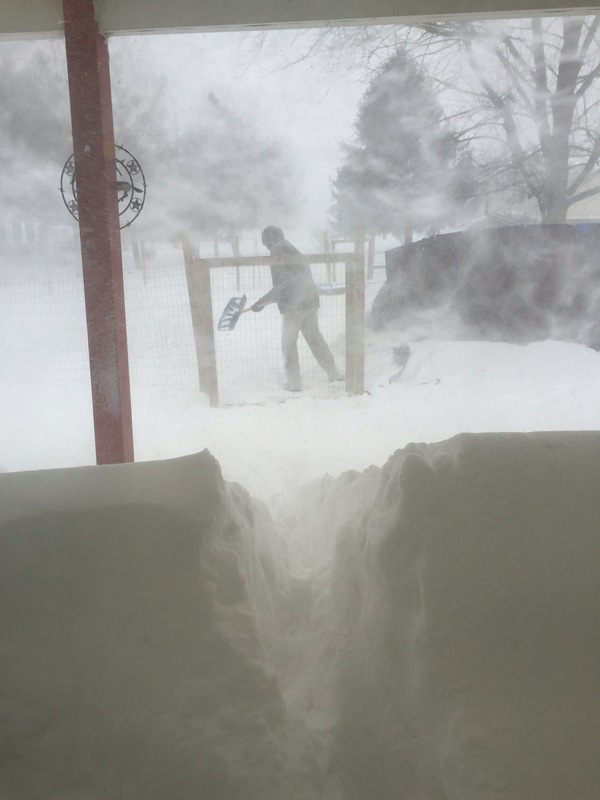 The drifts managed to not block the door to the gym which goes into the barn. The drifts also didnt settle under the prtico where the horse hang outside their stalls. So far so good. Harley a little snow covered – but he has plenty of shelter. 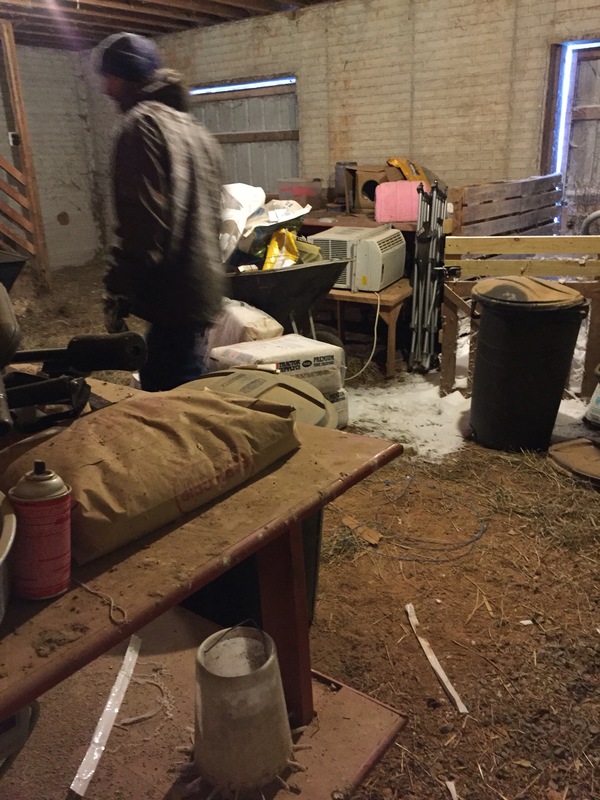 We had a little snow in the barn- we forgot to close the goat door that we leave open for our cat to come and go. This is the gate to the chicken enclosure. How awesome was it that there was little snow blocking the gate? This is when I was thankful for drifts. 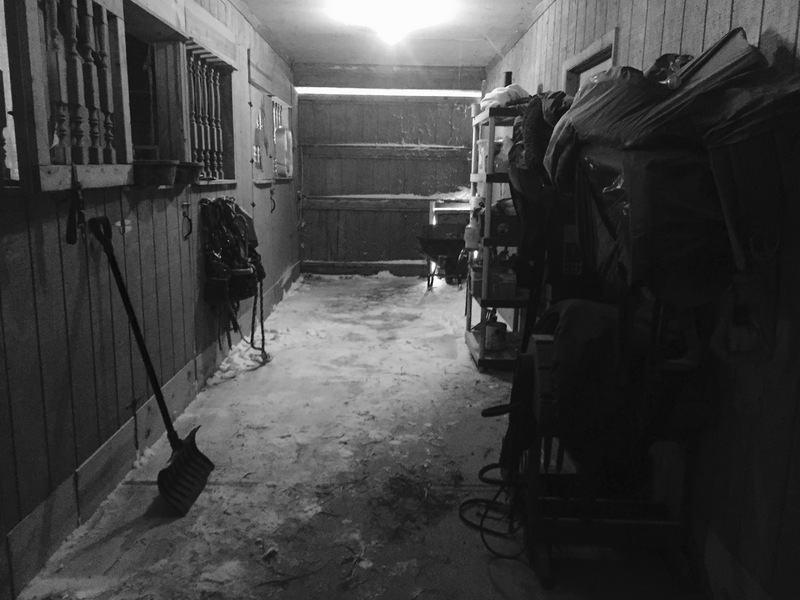 A drift in the storage room in the barn. Came in through a small opening at the bottom of the barn door. Daughter who had a hood on (not sure why she didn’t have a cap on too- but teens know it all! 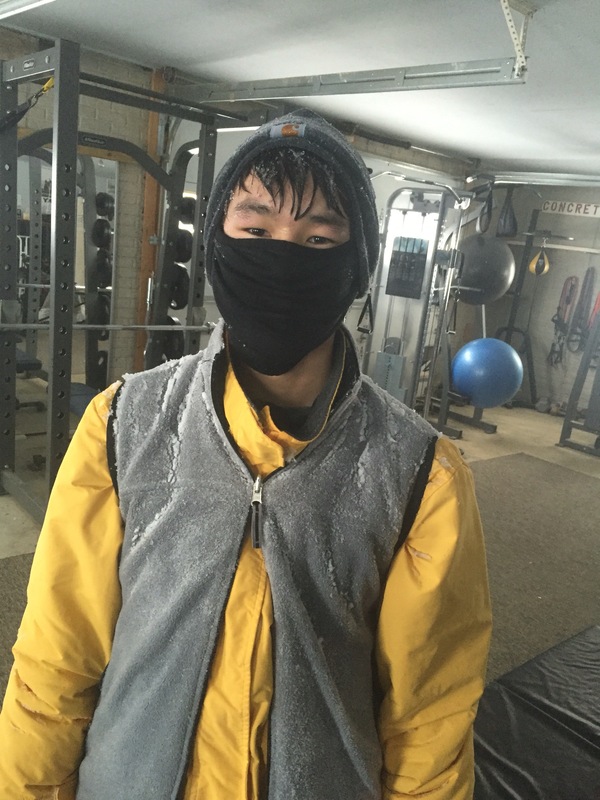 Not sure what he is doing with this get up on but as long as he could shovel thats all that mattered! I’m back in Maryland and the snow has started. Jonas arrived as predicted. I’m glad to be home with my kids and we have prepared as best we can for the impending snow. My husband was able to get the generator tested. The tarps are covering the the chicken runs. All the chickens and ducks are closed in safely. 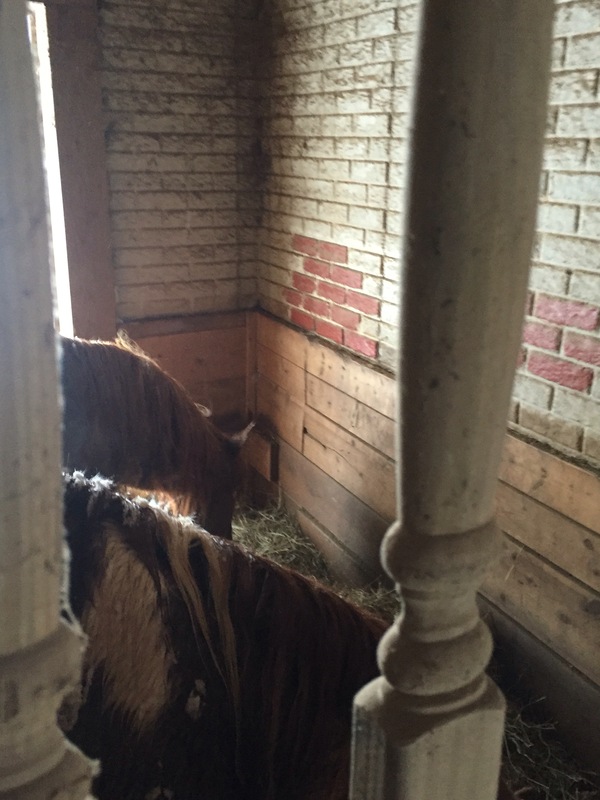 The horses have lots of hay in their stall. They have plenty of water and extra in buckets in the gym off our barn. We have food and blankets extra bottled water and flashlights. But it was hard to leave my mom in the hospital in PA. Really hard. Had this storm not been impending we would still be there. When I called this morning I wasn’t able to reach her at first so I called the nurses station and was told she had had a very bad night she had become very confused and unable to really communicate. When I tried to speak to her early this morning she wasnt able to complete a sentence and she was very confused. Maybe it’s the pain meds though nobody is quite sure. I can’t tell you how upsetting it is to leave your mother like that even though she is in a hospital. As the day progressed and we were on our way home i was having trouble reaching my mom. I was able to speak to her nurse but I wasnt happy with the vague information she was giving me and I could not hear her well on the phone. By the time I got home and I had tried to call my mom a couple times but I was still unable to reach her I was getting panicked. I called once and an aide answered and told me my mom couldn’t speak to me and I heard her cry in pain in the background. It was awful. I feel such helplessness. Maybe if I was there I wouldn’t be of much help but maybe i would be a comfort. I began making a lot of calls to the nurses station, to the social worker and the surgeons office. I let them know that I was losing my patience trying to get information about my mom -I’m not trying to be a pain just trying to understand what’s going on. I’ve finally spoken to the nurse on duty who I met yesterday and he’s way more communicative than the nurse earlier. I appreciate his giving me his time and I told him that. I know how hard nurses work and appreciate that he took the time to help update me. He did tell me she got up a couple times to use the bathroom so I guess that is somewhat of a good sign. I also spoke to the social worker for a good while. She was able to read the notes on my moms file so I knew what had transpired over the day. It was a pretty tough day. But I was also told they have secured a couple rehab options for her which is very good news. But we still have to get her back to her more lucid self. Painfully exempt from returning my calls was her surgeon. I am not going to lie I didn’t like him much when I spoke with him before and after my moms surgery. I think he’s a good surgeon so liking his “bedside manner” isn’t a big deal until the patient isn’t doing well and you have to deal with the lack of social skills more than you ever wanted to. So tomorrow I’ll have to have him paged. I hope he calls me back. All I can do now is sit in Maryland worrying about my mother who is alone in a hospital two hours away. I had to make a choice to return home to weather the storm or to stay in PA -maybe on the hospital floor? I made the choice to come home and though I thought it was the right choice earlier I’m not so sure now. But here I am stuck in a blizzard and I have to hope and pray that she’s in good hands and they will help her. So tonight when I was able to finally speak to my mom I tried to offer words of comfort so she wouldn’t be so scared and agitated. She has done the same time and time again in my life. After I got off the phone I was feeling pretty sad and the one person I would have called to lift my spirits wss the very same person I was just trying to comfort. I hope tomorrow is a better day snow and all. Photo taken last winter after a much lighter storm. 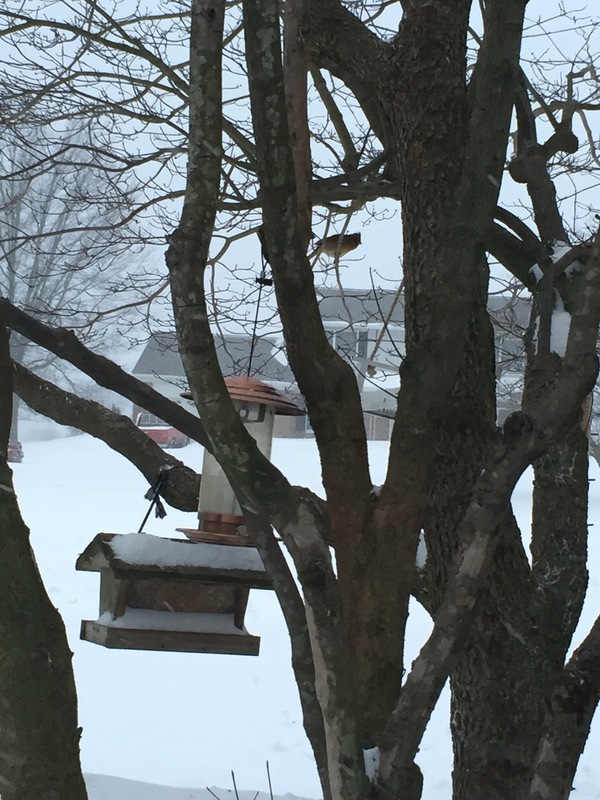 Managing near and far – wish I could manage Jonas away. There are times when I realize I’m in total management mode. My mind is full of lists of things that need to get done some of which get transferred to paper lists. I’m in that mode now. 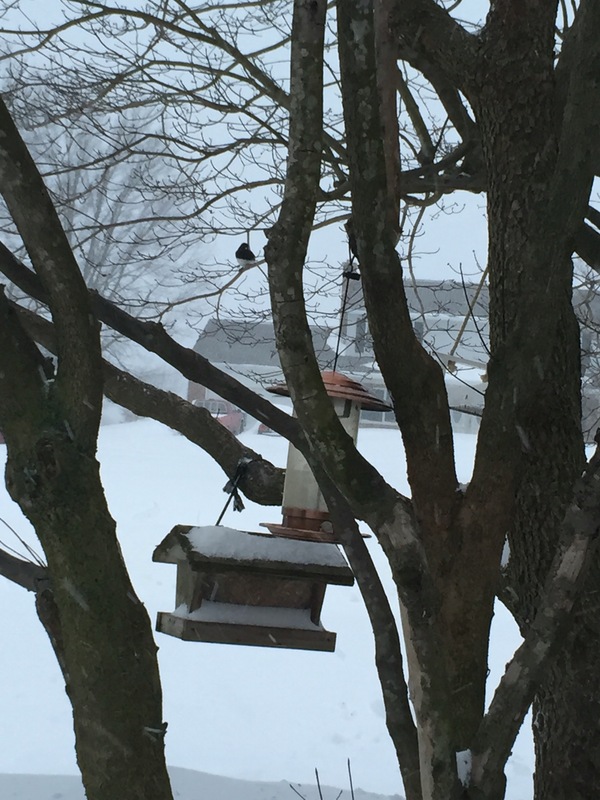 I’m trying to manage two things – preparing for a blizzard at our farm in Maryland while i am away getting my mom through back surgery and hopefully into a rehab facility by Monday. 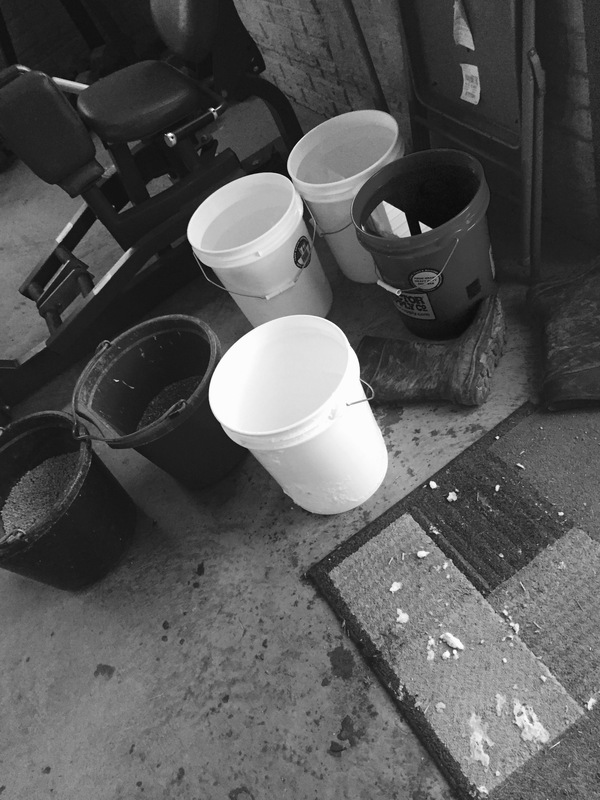 I left my teens about 8 lists of things to do for different areas of our homestead. Will they get the tasks done? I think they will step up -among their distractions. The most recent plan was that my husband – Kevin- and I would leave the day before my moms surgery and head to Pennsylvania about 90 minutes from our farm and take my mom to surgery at the hospital where she would be admitted and then sent to a rehab center or to a nursing facility w rehab in a few days. We would then leave for home the same day as surgery after she was settled in her room. We would get home well before the blizzard began. Well that plan changed. 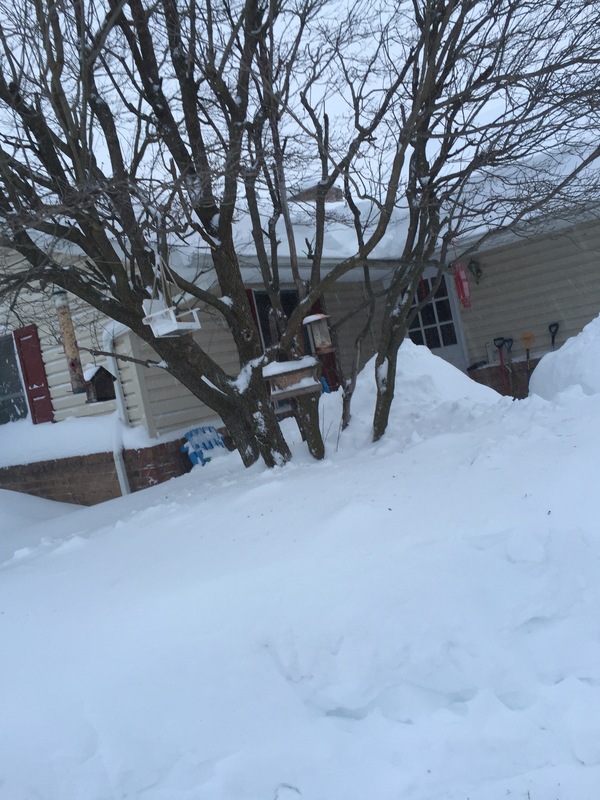 We are still here in PA and the blizzards (aka Jonas ) arrival is less than 24 hours away. Today we hit a snafu, we found out that my moms stint in rehab for her recovery from back surgery wasn’t a sure thing. For some reason we had gotten the idea it was. But we were wrong. So today I had to circumvent the medical establishment and try to learn all about how to get my mom into a nursing facility that would provide her with rehabilitative services that will get her stronger and more confidant to return to her home. Eventually she will be moving to Maryland near me – but first things first. The new plan now is to see how she is doing tomorrow and to make sure Occupational and Physical therapists get in to evaluate her. They get the say as to whether my mom needs to be in rehab. So we are counting on them realizing she needs to be more ambulatory before she goes home. Once we get some confirmation on this or when the clock strikes one 0’clock we will get in the car and head home in an effort to get home before the storm begins. I have been assured that in the event they decide she doesn’t need rehab they would not kick her out of the hospital during a blizzard when she would have no way to get home and we could pick her up when it’s safe to drive again. What I’m hoping to hear is that they will take her to the rehab center when it’s safe for transport to take her where she will stay until she is strong enough to be at home alone safely. 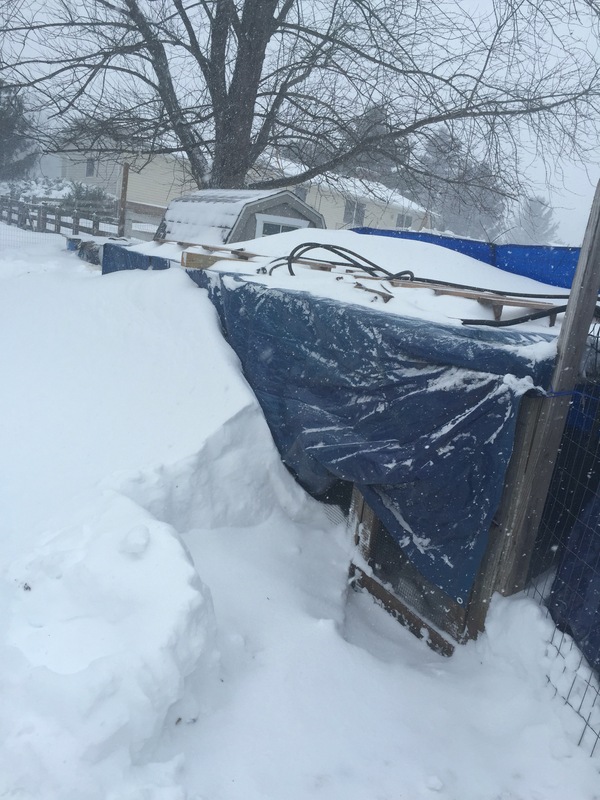 So today I managed that here in PA and managed the storm prep at our farm in MD from afar. I feel like a ping pong ball bouncing my attention from one thing to another. I’ve stopped watching The Weather Channel. I’m stressed enough I don’t need to add the ongoing storm drama on top of that. I’m getting enough notifications on my phone reminding me there is a blizzard warning in our area at home. 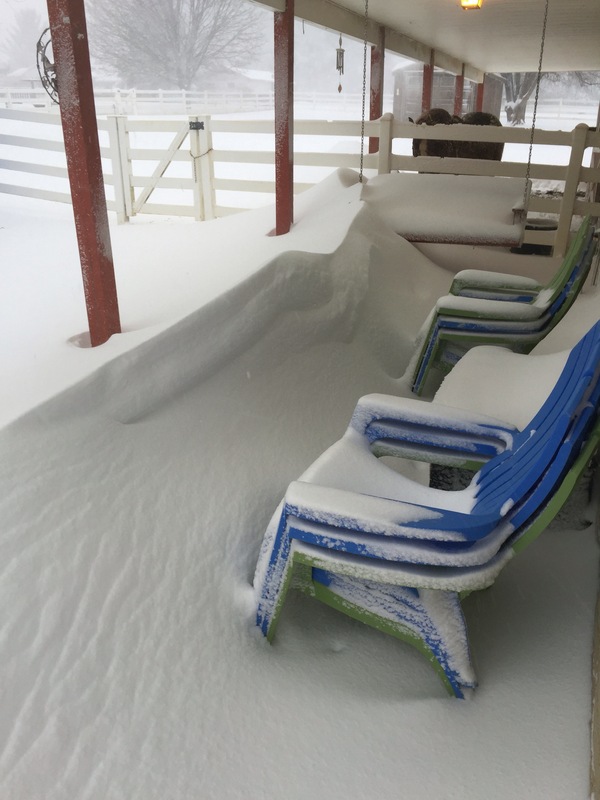 I can’t fathom the snow totals 20-30 inches – and high winds, potential power outages. Our power almost always goes out in a bad storm and we bought a generator which I’m hoping we get home in enough time to set up. I’ve been texting the kids to get buckets of water filled and put into our gym (part of our barn) which stays above freezing mostly. Those will be for the animals if we lose power and can’t get the well pump hooked into the generator. 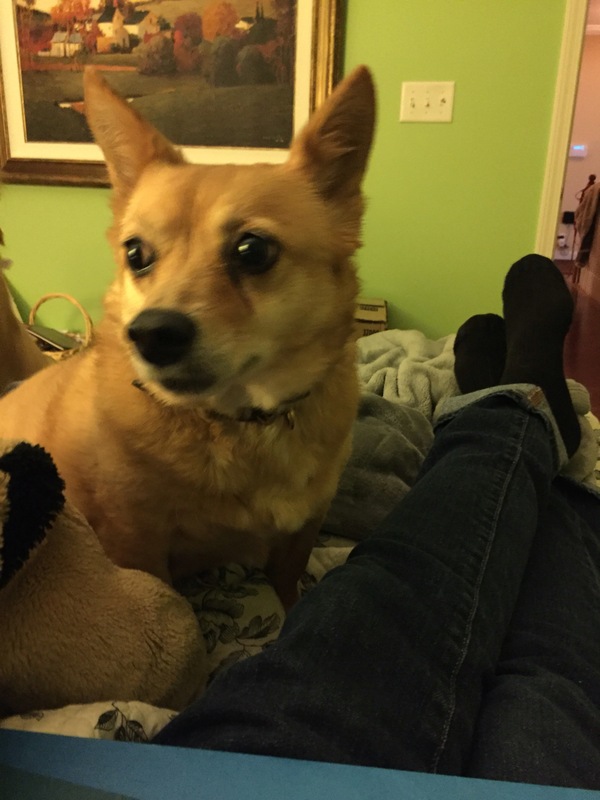 We need other buckets of water in the bathrooms (no power =no well pump =no working potties) – and we can’t fill the bathtubs BC the dogs chewed all the plugs and we forgot to buy more. (Amazon – expect my order soon). We have tarps to be put up for chicken and duck protection, wood to haul in for the wood stove that we never use. Feeders to fill up and hay to put out in the event we can’t get to the horses and the chickens and ducks. It’s all doable but my three teens are implementing my lists while I try to mange from far away. Xbox and tv could take precedence over prepping because I’m not there to manage them. I’m told things are under control. I can just see buckets being filled between commercials. I can only do so much. I’ve got to let some of the control go to my higher power and just go with it. I’ve done my best in this crazy situation. My friend Donna who messaged me today – reminded me that it will work out exactly the way it’s supposed to. “Breathe” she wrote. Thanks for the reminder friend. 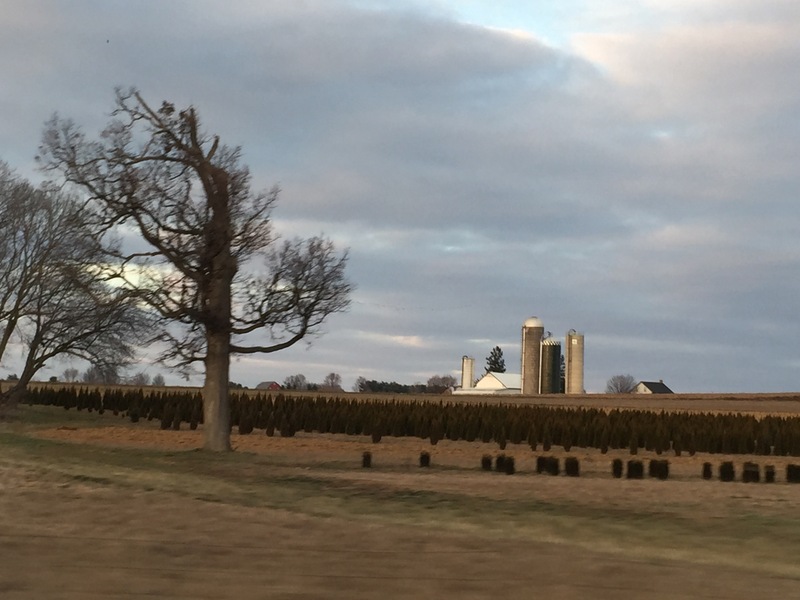 I took the drive back from the hospital to my moms home to do just that stopping to take in the gorgeous views of the Lancaster area countryside. A view to clear the mind. We will get through this. 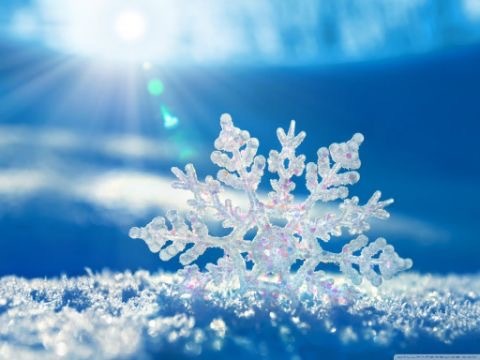 We will get things worked out for my mom and the snow will come and hopefully with not too much damage and then it will melt and in a few months flowers will be blooming. Winter has come -hello Jonas. So seriously 24 inches of snow? Really!? Our first winter storm in this area this season and you really are dumping on us aren’t you Jonas? Yes I have the weather channel on non-stop and it is looking like whatever way the storm goes the area where I live is going to get a LOT of snow. I’m kinda freaked. Normally I’m not so freaked out but I am not going to be here on the farm for much of today and all day tomorrow-Thursday. (Storm is due Friday). Hubby and I will be helping my mom -who lives up near Lancaster PA about 90 minutes away -through her back surgery tomorrow. 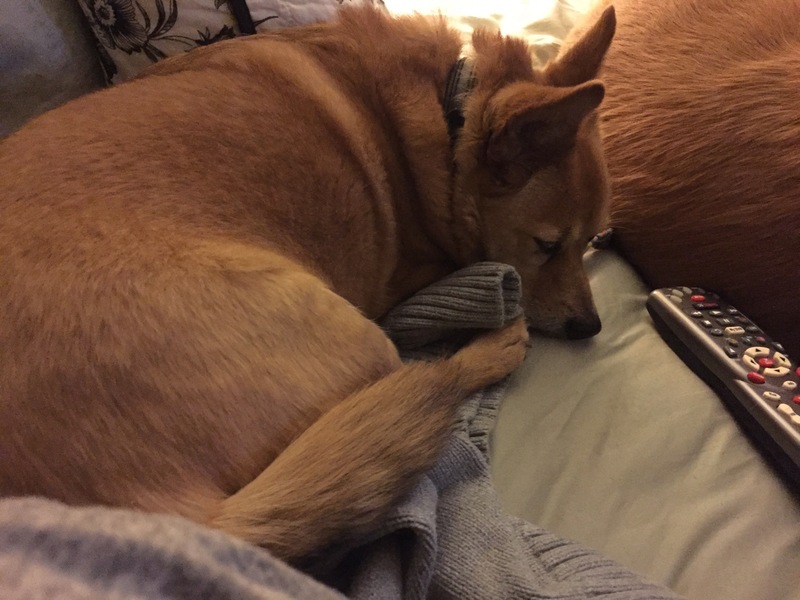 The plan was to get her through her surgery Thursday and stay through Friday or Saturday with the intent that she would be moved to a rehab hospital over the weekend where she will recover from back surgery for a couple weeks. I would take her dog home with me and she would start her recovery there. Good plan -I thought. That ship has sailed because Jonas has decided to make a debut sometime Friday and because I can’t fathom leaving three teens alone in a giant storm. The picture in my head becomes a horror story. 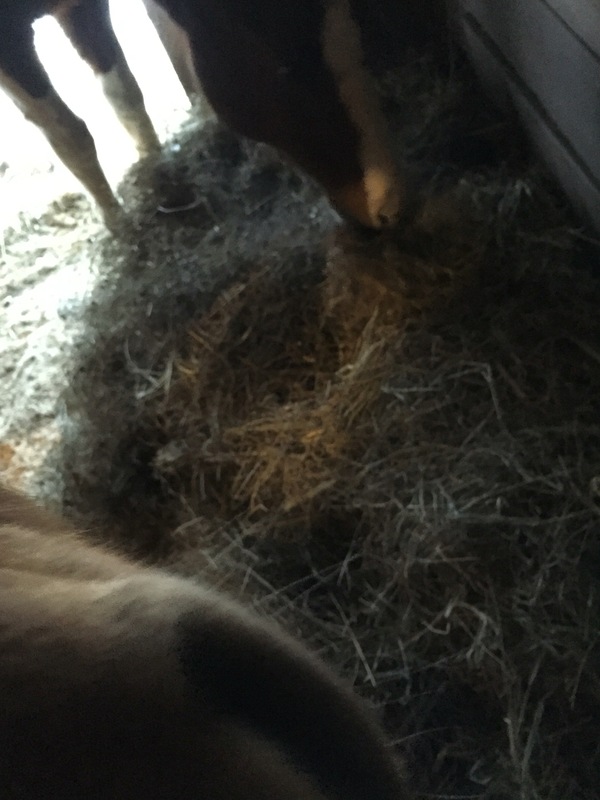 I picture power outages, no plumbing, no way to get to the animals BC they didn’t think to continuously clear a path during the storm to the barn, the Xbox would lull them into a stupor until the power leaves and then it’s too late. What will they do for heat?What would they do for food? They may not think to make a sandwich with all the lunch meat we bought in case the power leaves. Or they will have already consumed all the easy prep stuff in our absence before the storm. Seriously you just don’t know with teens. Also, there are too many things to get done ahead of the storm and things to deal with during the storm and after. What ifs keep running through my head. Which doubles my anxiety. So I’m attempting to be proactive and I have a BEfore STorm to-do list that I pray my kids will begin to tackle today an tomorrow while we are out helping my mom. I can’t be sure how that will turn out. But I’m crossing my fingers. My hope is that my mom is doing well in the hospital tomorrow and we can head home late Thursday night ahead of this nasty storm. At the very latest we will leave very early Friday morning. This storm really had bad timing. This is a time where I need to be in too many places at the same time. So I have to pick the place where we have the greatest chances for trouble and that is on our farm with our three kids. I may sound like all I care about is them making sure things on the farm are ok and that they eat but really to be far away from them in this big a storm is a scary feeling for this mom. I get all into planning mode when I have fear. It is my way to have some control ( in my head) over a crazy, freaking, come at a bad time snow storm. If we are home I feel like we can keep the teens safe. They are still my baby chicks after all. Being apart just isn’t an option for me. So I’m hoping to be home in my nice warm bed tomorrow night waiting for Jonas to stop by and hoping I’ve stocked up on good shovels and enough wine to calm my nerves.